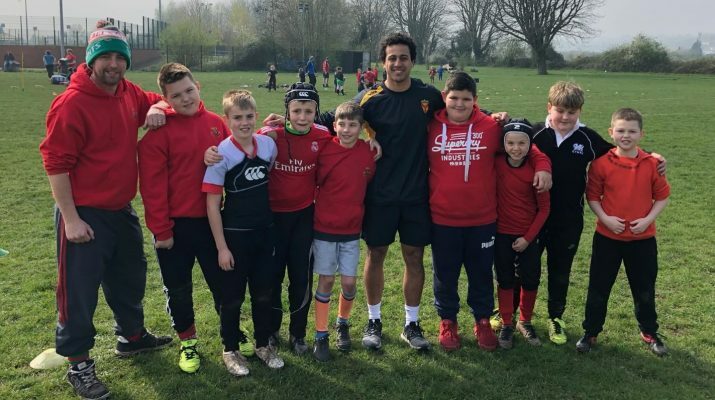 Our flying speedster Jonny Morris has been passing on his knowledge and skills to local children of the St Julians High School Old Boys club. Jonny went along to training at the Glebelands on Saturday morning, before our game with Ebbw Vale, and spent some time running the youngsters through their paces. All of the children really enjoyed the help and are hopefully of seeing Jonny back with them again.